During 18-20 January 2016, a team of the National Bureau of Statistics (NBS), headed by the General Director, Mrs. Lucia SPOIALA, participated in a study visit to the Office for National Statistics of United Kingdom of Great Britain and Northern Ireland, organised in the framework of bilateral cooperation project with Statistics Sweden. Over the visit, NBS specialists had the possibility to get acquainted with the British experience in what concerning the organisation of the national statistical system, use of administrative data for statistical purposes and ensuring the confidentiality of microdata, the process of development and approval of the Registration and Statistics Act, the coordination of the national statistical system and ensuring the quality and confidence in national official statistics, etc. This activity comes to support the NBS efforts from the perspective of amending the Law on Official Statistics and reforming the national statistical system according the European Code of Best Practices in Statistics and Eurostat recommendations. 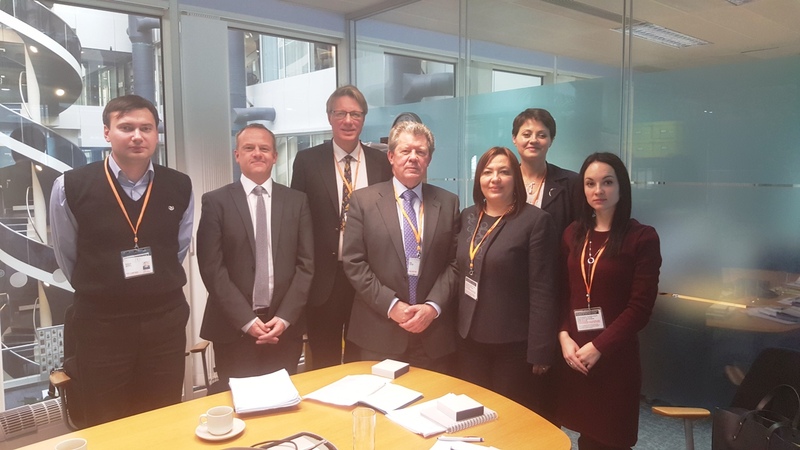 The promptitude and readiness to assist Moldovan statistics in the topics of major interest and the willingness to continue the cooperation in the future were expressed during the meetings with the top management of the Office for National Statistics oh United Kingdom.